Dr. Hendry can transform any smile into the most beautiful smile you could ever desire by using the latest technology available in comprehensive dentistry. Our practice is committed to providing the most current and advanced dental procedures offered today. Where our goal is to promote and maintain the best dental health on an individual basis. We provide all phases of cosmetic and restorative dental procedures, from whitening to full ceramic crowns and dental implants. 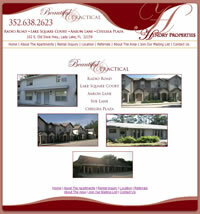 Lake County Florida’s premier apartment living. They are clean, well maintained properties in good neighborhoods, close to shopping and schools. Located near The Villages and Lake Square mall. Hewitt Environmental Systems is an innovative waste disposal company providing roll-off container service throughout Central Florida. 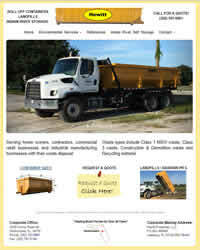 We pride ourselves on customized waste hauling solutions. We have a container sized to fit your needs. With 4 container sizes available and can provide the level of service and capacity you need. 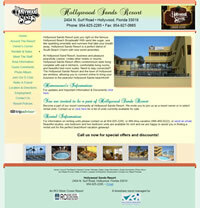 Hollywood Sands Resort puts you right on the famous Hollywood Beach Broadwalk! With sand like sugar, sea like sparkling emeralds and sunsets that take your breath away, Hollywood Sands Resort is a perfect blend of South Beach Charm with new world amenities.